If you’re in need of the most skilled BMW repair specialists in the Oakland area, look no further than Berkeley Motor Works! Founded as an exclusive BMW-only repair shop, from a passion for helping BMWs run in top shape, our 20 years of experience in this business mean we know how to properly care for and service each vehicle we see. When you bring your car to us, you can feel comfortable that you’ll have only the highest-quality BMW service. Our top-rated and highly skilled technicians have years of shared experience in the field of European auto repair and can provide you with the BMW maintenance answers you’re looking for. You can rest assured that your BMW will receive the kind of skillful care that only comes with our employees’ expertise. 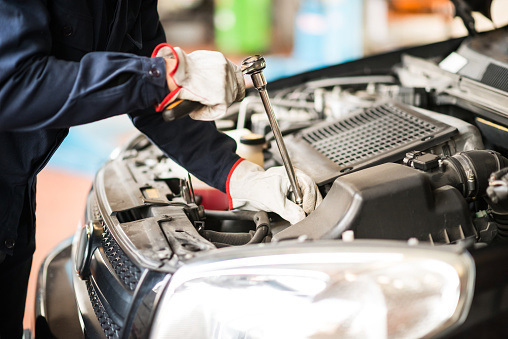 In terms of general and BMW and Mini repairs, we also offer oil changes, transmission repairs, brake inspections, engine repairs, tune-ups, differentials, and more. It’s important to those of us at Berkeley Motor Works to have the best possible customer service – you and your vehicle are very important to us! Give us a call to discuss your service needs with a BMW specialist and set up an appointment today, or fill out our online appointment request form. See for yourself why Berkeley Motor Works, Inc. is Oakland’s BMW repair shop of choice!